John David, Head of Horticultural Taxonomy, joined the RHS in 2005 from the Centre for Agricultural Bioscience International (CABI), where he was a specialist on the naming and identification of fungi. John leads RHS’s horticultural taxonomic research, with a focus on invasive plants of horticultural origin. He is also responsible for the RHS Herbarium and the Society’s international cultivar registers. He is actively involved with policy questions to do with invasive plants, the EU Plant Reproductive Materials legislation and, more recently, the Nagoya Protocol, representing the RHS on various stakeholder bodies. 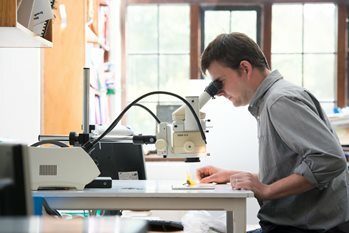 His main area of research is the diversity and conservation of cultivated plants and he is currently working on the genus Nerine, as well as supervising a PhD on Narcissus taxonomy. John is closely involved with plant nomenclature, as a member of the IUBS Commission for the Nomenclature of Cultivated Plants and an editor of the ICNCP, as well as a member of the International Committee on Bionomenclature. John works with a range of other organisations; he is Collections Secretary and Council member for the Linnean Society of London, as well as Associate Editor for the Botanical Journal of the Linnean Society, he is a member of Plant Heritage Council, and the Chelsea Physic Garden Advisory Committee as well as a trustee of the John Spedan Lewis Foundation and the Stanley Smith Horticultural Trust.